Over the past couple of years, the number of people who use a desktop video recorder has increased significantly. This is because of the benefits they get from using them; most people prefer using them for recording educational videos like tutorials while others use them for recording their gaming experiences for various reasons. Desktop video recorders are good for business since you can record everything you want on your computer and show it to your colleagues in a meeting or a conference. 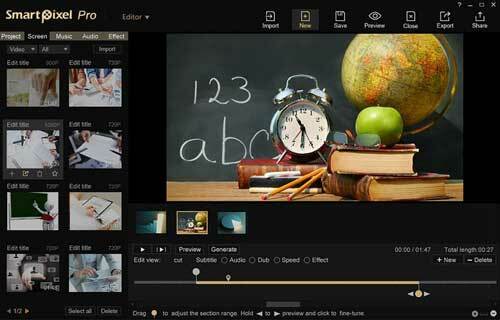 Also students can record important tutorials videos and later share them with the class. It as well comes in handy for gamers who are in mood to upload gameplay process. As a result of the growing usage of the desktop video recorders, a good number of them have come up in the market, however most of them are not of the best quality or do not function as expected. To help you avoid getting such software, this article has come up with top 6 desktop video recorders available in the market. Joyoshare Screen Recorder can be put on the top of this list. It can not only work as a desktop video capture but also perform as an independent audio grabber. By means of it, you are allowed to record any video and audio in high quality. Other than that, it 's accessible to customize capturing area, switch recording mode, set shortcut, insert image watermark, specify format configuration, edit finished files and spotlight cursor movements and so on. With the built-in task scheduler and audio encoder, Joyoshare Screen Recorder also offers ability to create recording assignment in advance and edit ID3 tag info at discretion. Or you can use it to cut recording, skip unwanted sections and take snapshots during capturing process. Surely, as other similar tools show, this all-round tool as well helps you export videos and audios to any popular format and well-liked device, like MOV, MP4, AVI, MP3, M4B, AAC, or iPhone, Xbox, smart TVs, Android, etc. 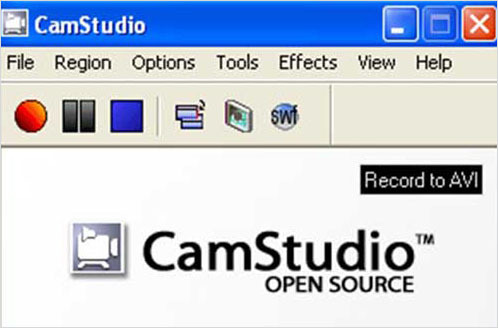 CamStudio is also one of the best desktop video recorder software that can be added in this list. 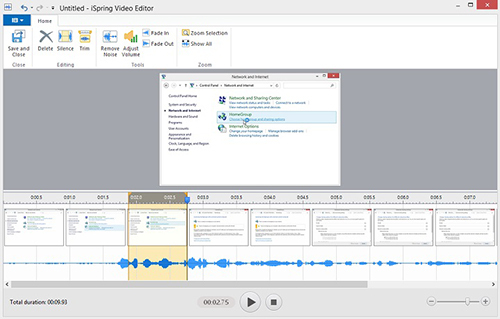 It is an open source software which is mainly used to make AVI recordings of different video and audio on your computer screen. Some of the great features you will get to enjoy from this software are being able to convert AVIs to SWFs. You can use this software without having to pay for the monthly subscriptions, which means that it is 100% free to use. You will not experience difficulties using this straightforward tool. Besides, the videos recorded from this software are of high quality despite the software has a bug on the site. 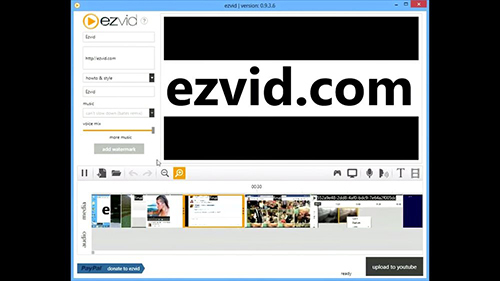 EzVid, a free desktop video recorder, uses your machine 's processing power to boost the speed of the video editing capabilities and screen recording. This comprehensive video editor gives you liberty to create quite a few videos for Facebook, YouTube and more popular video-shared websites. It also works best with Wiki site. What 's more, its voice synthesis and facecam and video editor considerably make it simple-to-operate and attractive. Another desktop video recording software here to look at is the SmartPixel. This is the video recorder that most gamers all over prefer to use. This software is specially developed for recording games so it is smooth, seamless and you can barely notice it recording as you continue playing. SmartPixel uses more advanced video compressing technology to ensure that the videos you get are of high quality and still end up using little disk space. With SmartPixel you can record what is going on your computer and still record using the webcam. 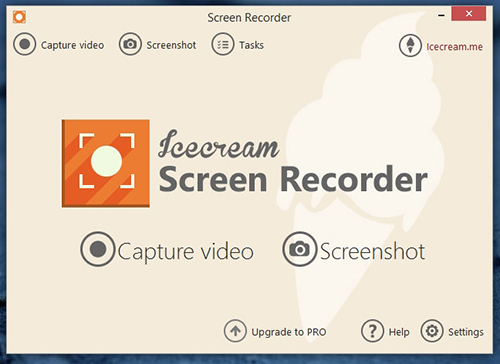 This desktop video recorder software, Icecream Screen Recorder, can be used to record any part of your screen. It enables you to choose recording area in flexible way. 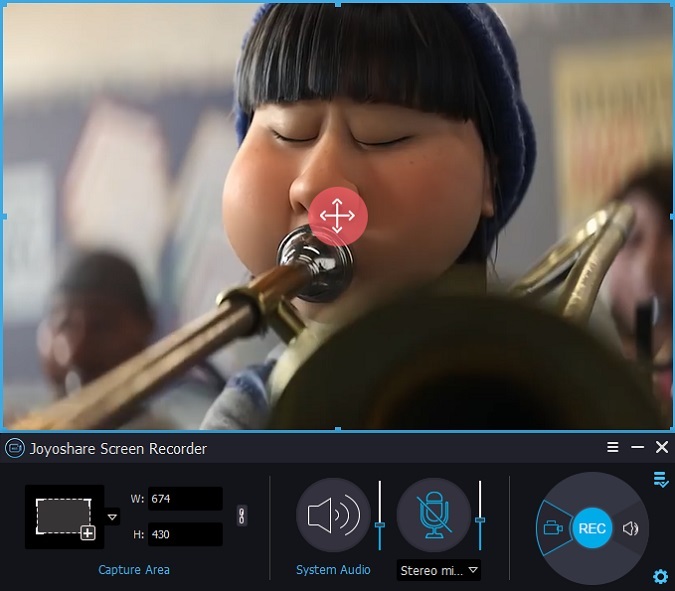 Similar to Joyoshare Screen Recorder, this intelligent tool is also capable of adding personal unique watermark to the captured video activity and gives access to select recordings ' quality as you wish. Additionally, it has a zoom tool which lets you zoom in and out while you are recording and you can also get to outline, draw and add texts and arrows to your video recording. iSpring Free Cam is yet one compact desktop video capture software. This software has several functions and tools of video editing which allows you to erase some unnecessary fragments of the video, add audio effects and eliminate the background noises. It also claims that there is no watermark as well as time limit for any desktop activity recording. Furthermore, this amazing program has competency to capture your voice over, highlight mouse cursor, grab system sounds, share on YouTube and so forth. Having read through this article, you are now ready to pick one. With the number of desktop video recorders being added to the market every day, it can be hard to pick the best one which gives the best result, this article has made the work easy for you since we have done research and come up with some of the best ones.